Medical News Today: Are we facing a Parkinson's pandemic? Sometimes the best paleo snack is a nutrient-dense smoothie filled with vitamin-rich fruits and veggies that you can blend up in minutes. Wether you’re looking for a portable snack for a workout or a full on meal replacement, these are the best paleo smoothies to fuel your body and mind. This paleo smoothie not only offers a delicious combination of bright fruity flavors, but it also provides an abundance of natural beauty benefits. Strawberries and mangoes, the main ingredients, both support healthy glowing skin. The coconut milk used as the liquid base helps out with smoother skin as well. 1. Combine the ingredients in a blender and puree until smooth. Add more coconut milk if necessary to reach desired consistency. Adjust honey to taste. Serve immediately. 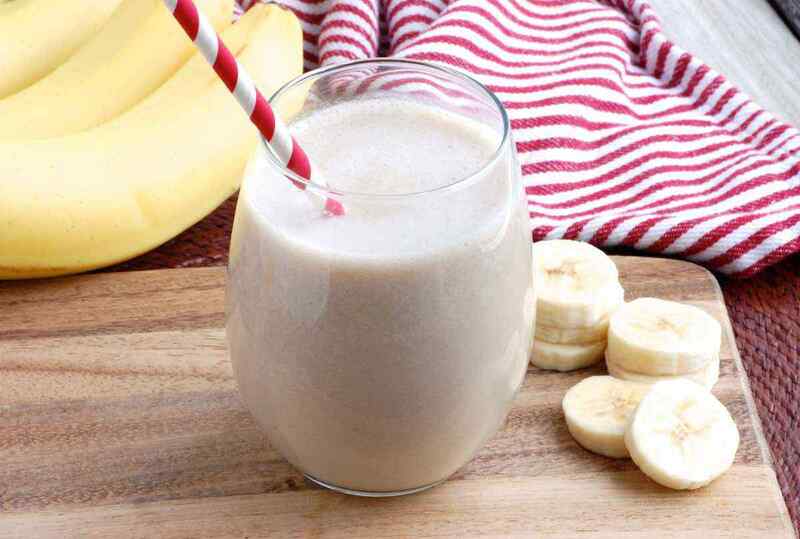 When you have certain sweet cravings, sometimes you can turn the flavors into a healthy smoothie instead. 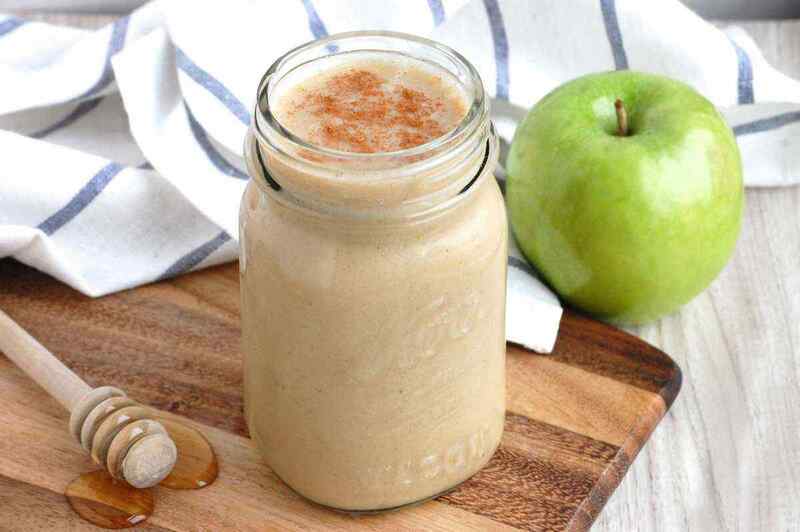 Such is the case with this delicious and creamy cinnamon apple pie smoothie! The drink is rich and sweet, and still comforting – definitely a better alternative to otherwise unhealthy desserts. 1. Combine the ingredients in a powerful blender and puree until smooth. Add more almond milk if necessary to reach desired consistency. Adjust sweetness to taste. Serve immediately. 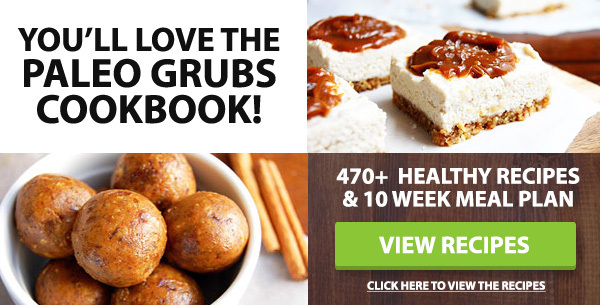 Eating healthy does not always mean that you have to abandon past favorites. 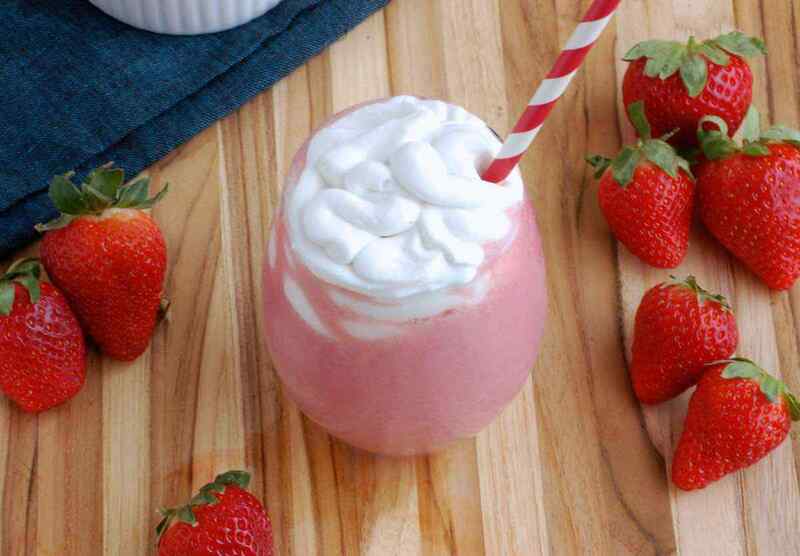 For example, the classic flavor combination of strawberries and cream can be enjoyed in this luscious paleo-friendly smoothie. Coconut milk is whipped into a thick cream to top the blended strawberries for a dairy-free delight. Refrigerate a can of coconut milk overnight and skim the thickened milk from the top for the best results. 1. In a large cup (if using an immersion blender) or a blender, combine the strawberries and almond milk and blend for 1-2 minutes until smooth. Add more almond milk if necessary to reach desired consistency. Pour into glasses, leaving room at the top for the whipped coconut cream. 2. Use a hand blender to whip the coconut cream and vanilla together. Pour on top of the strawberry smoothie. Serve immediately. 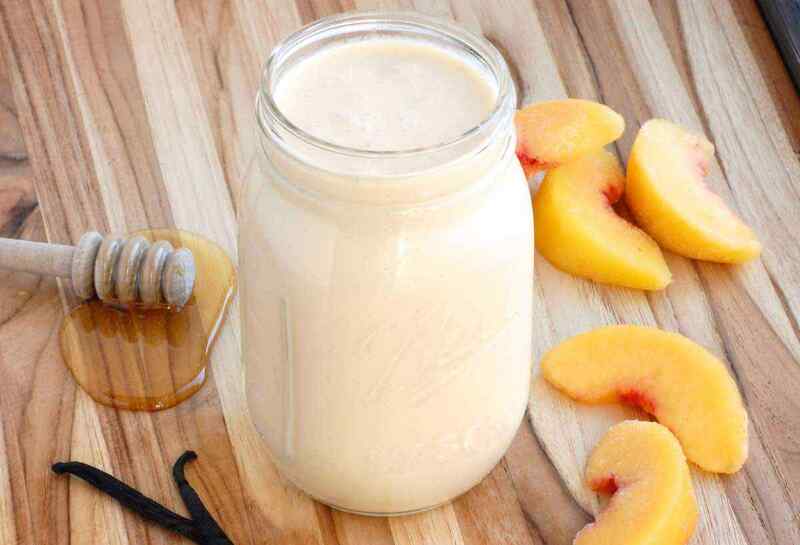 Peaches and creamy coconut milk are absolutely delicious together in this easy paleo smoothie recipe. Juicy peaches add natural sweetness to the snack along with honey and vanilla. The fruit also provides high amounts of vitamin A and vitamin C to help out your vision and immune system. 1. Combine the ingredients in a blender and puree until smooth. Add more coconut milk if necessary to reach desired consistency. Serve immediately. This delicious and creamy smoothie contains a high amount of the antioxidant vitamin C, thanks to its natural ingredients. Oranges, strawberries, and carrots each provide their own dose of the vitamin, ensuring that you will receive well over the daily-recommended intake. 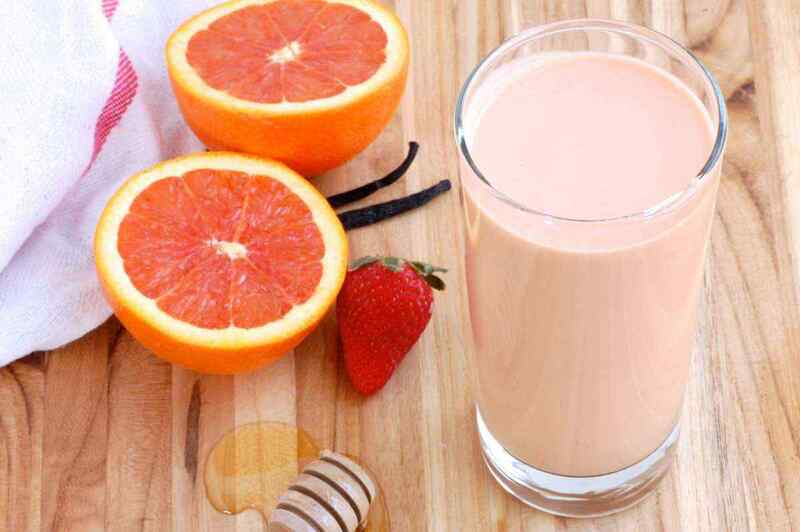 Vitamin C helps to fight harmful free radicals that are linked to cancer and heart disease. 1. In a powerful blender, combine all of the ingredients and blend until smooth. Add more coconut milk if necessary to reach desired consistency. Serve immediately. Bananas offer a naturally sweet bedtime paleo snack option without adding any processed sugar. Bananas are also an excellent source of vitamin B6, which aids in the production of serotonin, a relaxing neurotransmitter. The smoothie also adds an orange for a touch of brightness and vitamin C. If you use frozen bananas in the recipe you can omit the ice cubes. 1. Combine ingredients in a powerful blender and puree until smooth. Add more almond milk if necessary to reach desired consistency. Serve immediately. This is the perfect smoothie for brightening up your morning. 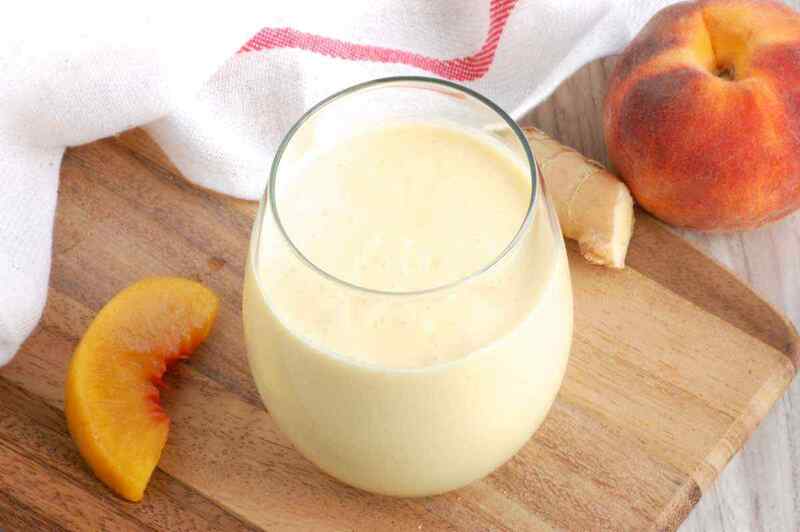 Sweet peaches and mango add refreshing flavor to the creamy smoothie. The tropical fruits and coconut milk pair naturally well with each other. Fresh or frozen fruit can be used; add ice to adjust the consistency. 1. In a large cup (if using an immersion blender) or a blender, combine ingredients and blend until smooth. Adjust honey to taste. Serve immediately. 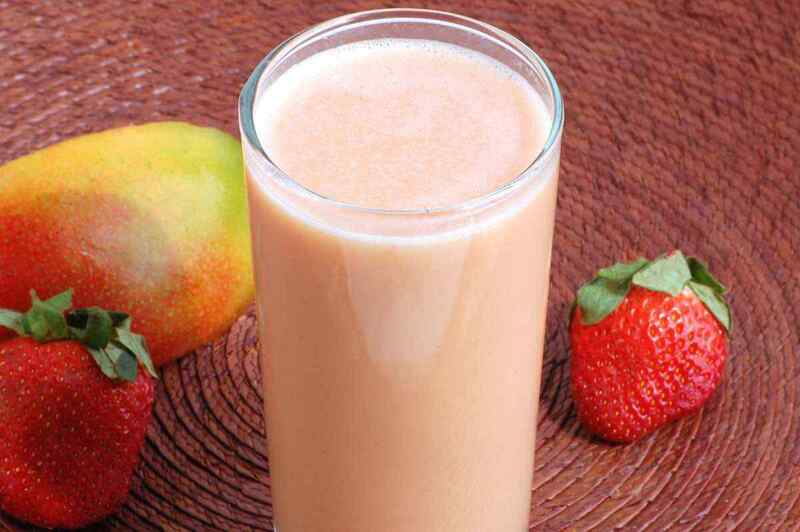 Both of the main fruits in this smoothie are great for weight loss. Certain flavonoids in blueberries help to shed belly fat, and bananas are high in fiber and keep you feeling full. 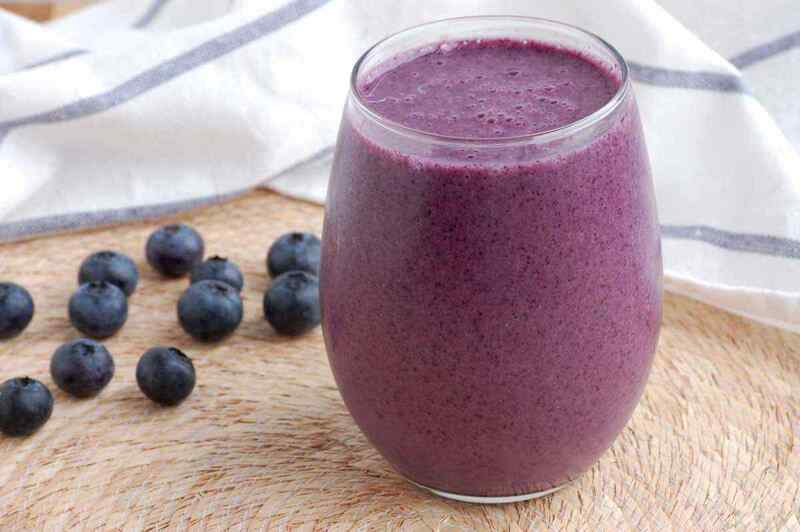 The blueberries in this easy smoothie are also packed with antioxidants and are beneficial to your brain health. 1. Combine all of the ingredients in a blender and process until smooth. Add more almond milk if necessary to reach desired consistency. Serve immediately. This is a delicious green paleo smoothie to make at home and is an easy introduction to green smoothies in general. The apple and banana nicely balance the flavor of the drink. You also receive a long list of healthy benefits from spinach as superfood, an added bonus. It contains potassium, iron, calcium, vitamin K, and fiber, to name a few. 1. Combine all of the ingredients in a blender and puree until smooth. Add more almond milk if necessary to reach desired consistency. Serve immediately. 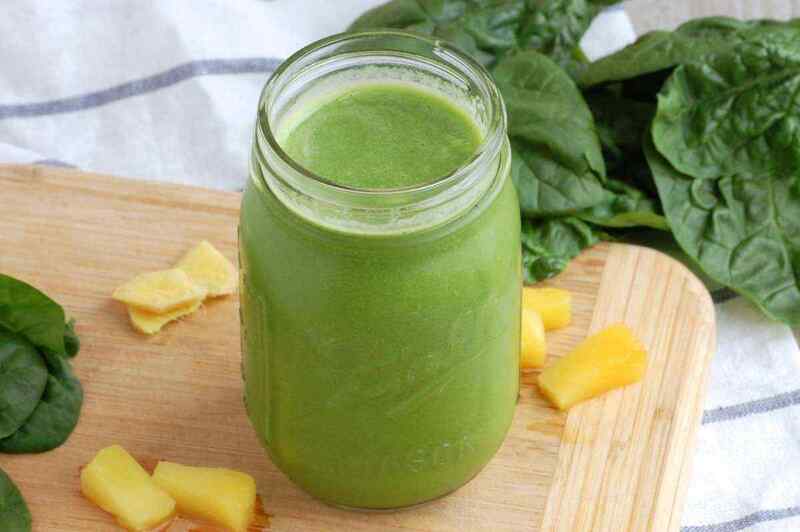 Although the main flavor in this smoothie is the sweet pineapple, the other ingredients make important contributions as well. 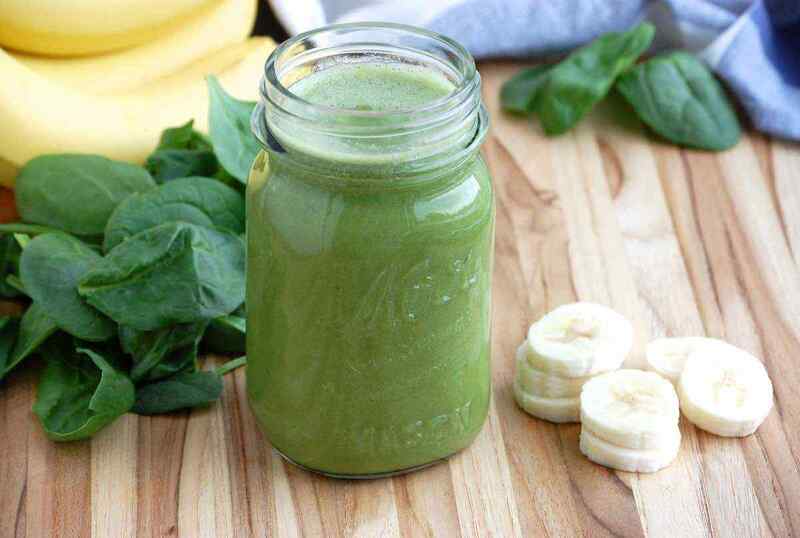 Banana makes the drink creamy, ginger adds a hint of spice, and spinach provides a nutritional punch. Brighten up your day with this tropical tasting smoothie recipe, and make sure to use fresh pineapple (versus canned) for less sugar. 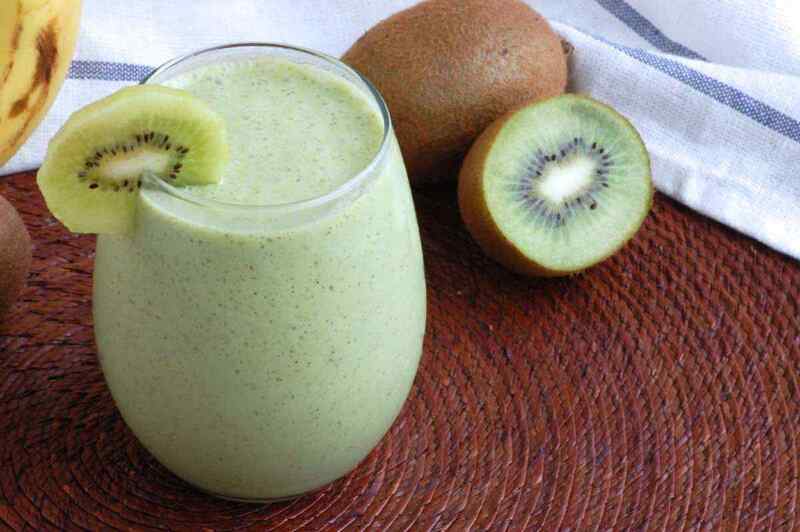 This bright, flavorful green smoothie is bursting with vitamin C. One kiwi provides over 200 percent of the daily-recommended intake of the important immune-boosting vitamin. Other nutrients that are prevalent in the small tangy fruit include vitamin K, potassium, folates, and copper. To peel a kiwi, cut it in half and use a metal spoon to run along the inside of the skin to scoop out the fruit. 1. Combine all of the ingredients in a blender and puree until smooth. Add more coconut milk if necessary to reach desired consistency. Serve immediately.